ROLESVILLE, NC (WTVD) -- Authorities have identified the driver killed in a crash that injured three others in Wake County Thursday afternoon. 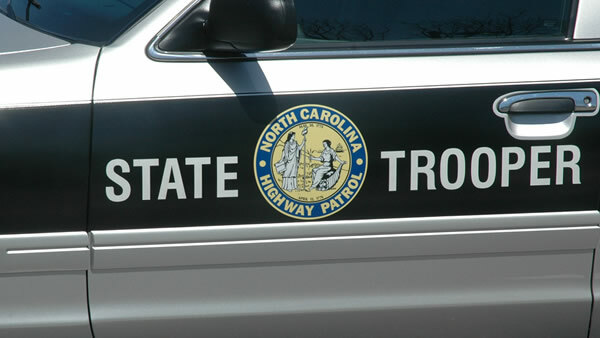 The North Carolina Highway Patrol said it happened around 3:47 p.m. at Fowler Road and Mitchell Mill Road, which is southeast of Rolesville. Authorities said a 2001 white Dodge Durango was going east on Fowler Road toward the intersection at Mitchell Mill Road, when a 2003 burgundy Ford Crown Victoria going north on Mitchell Mill Road approached the intersection at Fowler Road and stopped at the stop sign, but failed to yield before pulling in front of the Dodge. The Dodge then struck the Ford's driver side door. The driver of the Ford, 53-year-old Winta Mitchell Hill of Wake Forest was pronounced dead at the scene. A passenger in the car with her, 74-year-old Tillie Blackley Puryear of Rolesville, was taken to WakeMed with serious injuries. The driver in the Dodge, 17-year-old Payton Dale Tracy of Zebulon, and a passenger, 14-year-old Piper Tracy of Zebulon, were also taken to WakeMed with non-life threatening injuries. No charges are expected to be filed, according to officials.